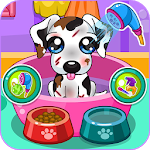 Give you pet puppy some tender, love and care by taking him to the salon. 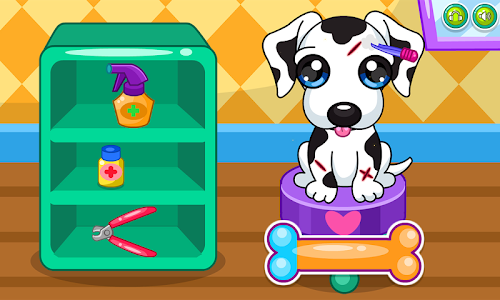 At the salon, you can give your pup a wash, heal his wounds, feed him and give him a complete dog care makeover. Turn his bad day into a fantastic day with a little extra love and affection. Your pup will love it! * Give your puppy a wash to make him feel nice and clean. * Heal his wounds and clip his nails to ease his pain. 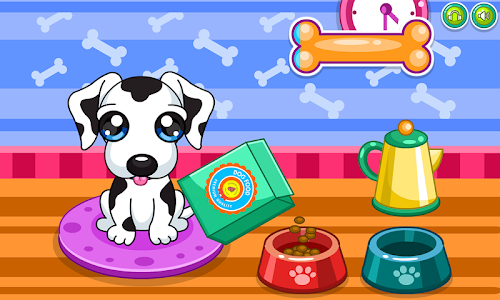 * Feed your puppy yummy food and a drink to make him full. 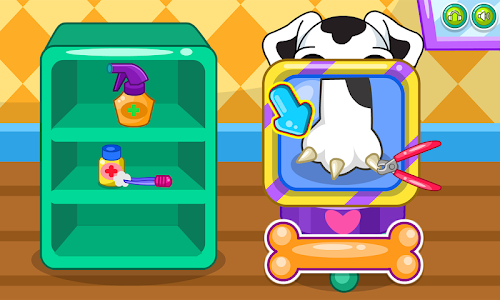 * Accessorize and give him a puppy makeover to make him feel great. Similar to "Caring for puppy salon"